Today, Queen Letizia presided over the official ceremony of the “World Rare Disease Day” at the Goya Theater of Madrid. This year the day is being commemorated under the slogan “Let’s build today for tomorrow: demolish the borders for research in rare diseases”. 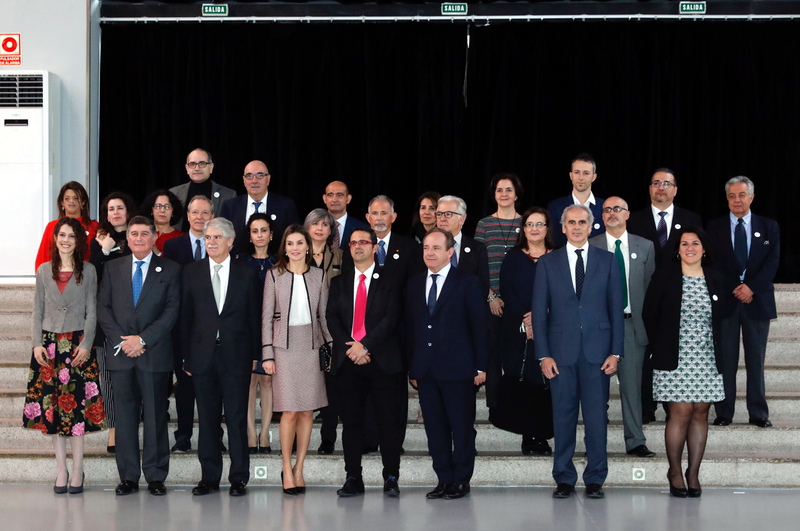 After the arrival of Doña Letizia, the ceremony began in the auditorium with the presentation of the activity Action of awareness by the president of the Spanish Federation of Rare Diseases, Juan Carrión. After the presentation Queen Letizia delivered this year’s awards in various categories – Ambassador of Rare Diseases Award, Award for journalistic work in Rare Diseases, Previous to Corporate Social Responsibility, Lifetime Prize for Rare Diseases, Prize for the best Rare Diseases Training project, Award for the Defense of the rights of people with rare diseases, Award for inclusion for Rare Diseases, Autonomous Award for the best initiative in favor of improving the quality of life of families, The best project to favor research through RED work. Speaking at the event, Queen Letizia, “It would be a nice challenge for all those people to feel EVERY DAY that the society they belong to never forgets about them. Not one of the days of the year”. Queen Letizia greeting the attendees. Today Queen Letizia chose a tailored look for the engagement. 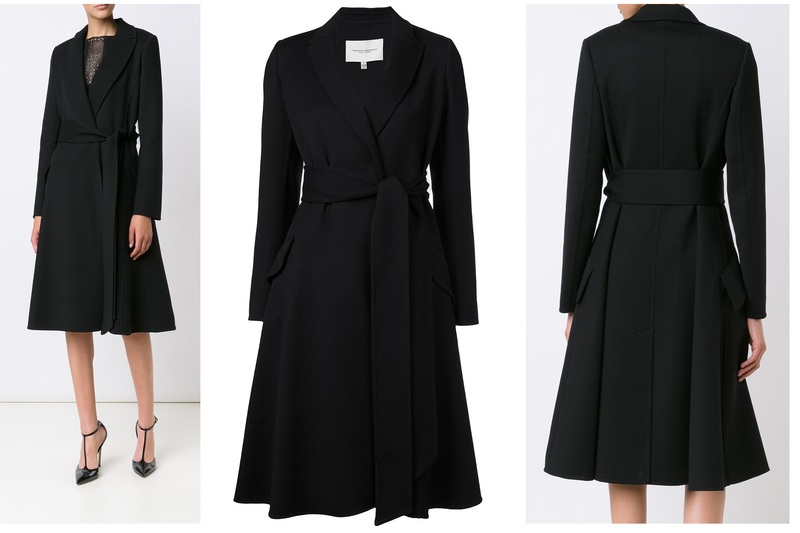 Upon arrival, Letizia was seen wearing Carolina Herrera Black A-Line Belted Coat. Underneath the coat, Letizia was wearing a tailored tweed suit from her go to label Hugo Boss. 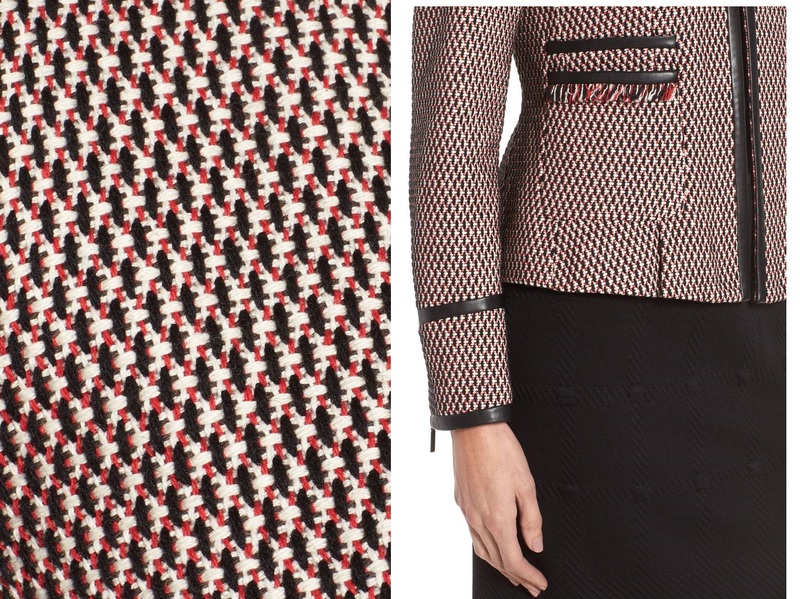 The ensemble contains BOSS ‘Keili’ Collarless Blazer and the matching ‘Meili’ Skirt. The blazer is made of rich Italian tweed and features Sleek French piping that elevates the style and adds sophisticated textural contrast for a classic collarless jacket, front hook and eye closure with long zip cuffed sleeves. Blazer is currently retailinag at ,Alberre Odette for £380. 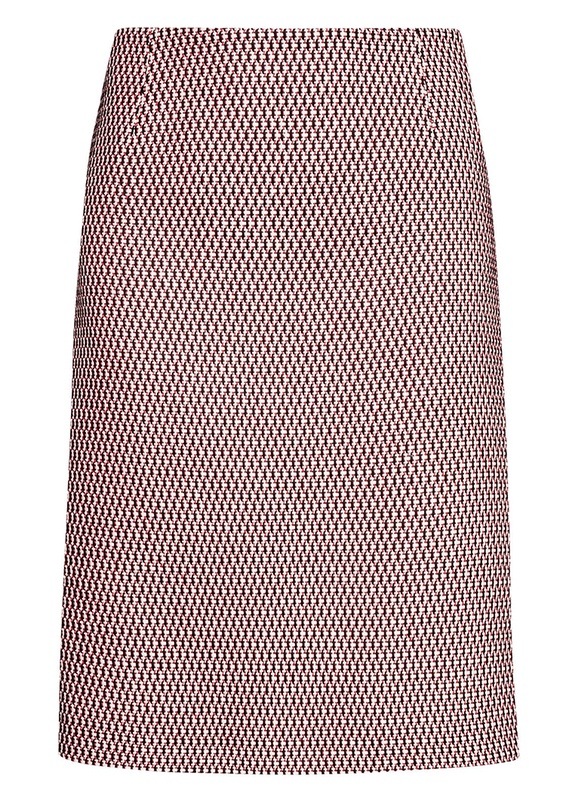 The £169 Meili Skirt features a slim-cut in mid-length. It has a micro pattern and thin leather detail around the waist that looks very chic with zip fastening on the back. Skirt is still available at Alberre Odette. Letizia paired the suit with white silk blouse from the same label. 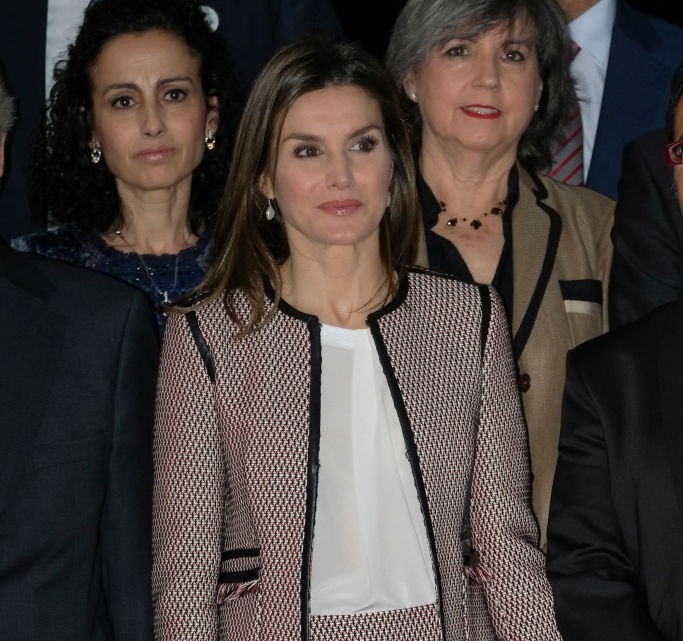 Letizia contrasted the outfit with black accessories. 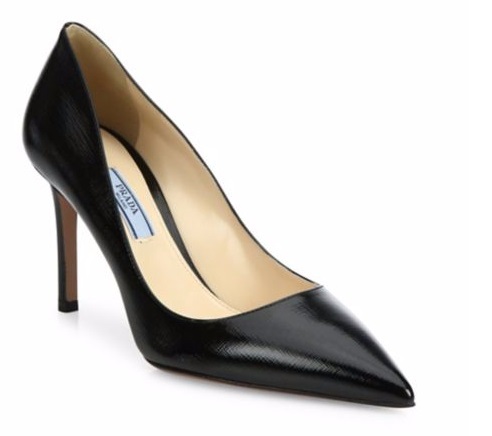 She was wearing her black leather Prada Saffino Pumps. 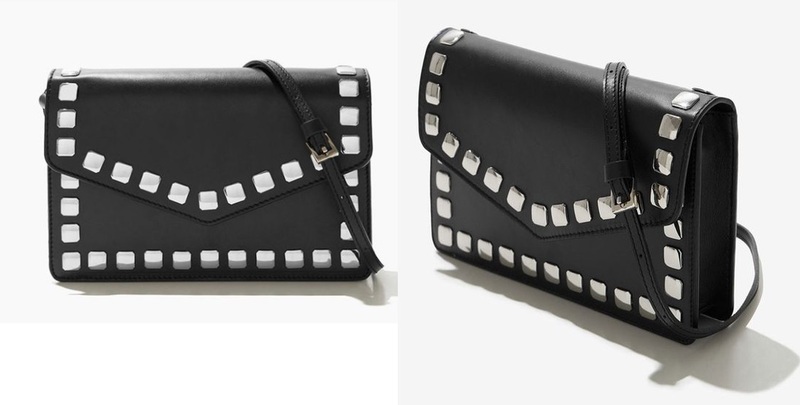 And carried Uterqüe black leather studded messenger bag.